4 TYPES OF CLOTHING LABELS YOU SHOULD KNOW ABOUT - ThirtySevenWest ThirtySevenWest - Creative ideas about personalized custom ribbons, woven tags and labels, personalized gifts and more!!! Designers who are launching a new clothing line or just setting up their brand are often wondering which type of labels to use for their garments. Read on to know about 4 different types of clothing labels that you should know about. The choice of the type of labels generally depends upon the type of garment. 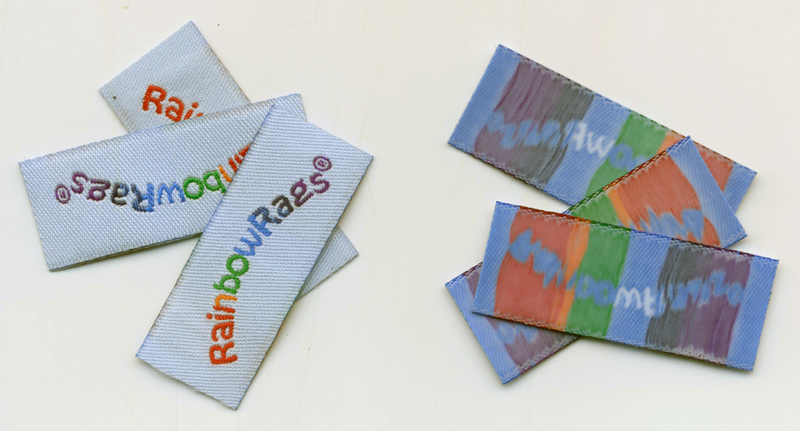 Woven labels are soft and can be woven in different colors. They are durable and withstand a lot of wear and tear. And the colors will not fade. Typically, designers go for woven damask clothing labels for high end garments. But they can be used for casual clothing too, like t-shirts. 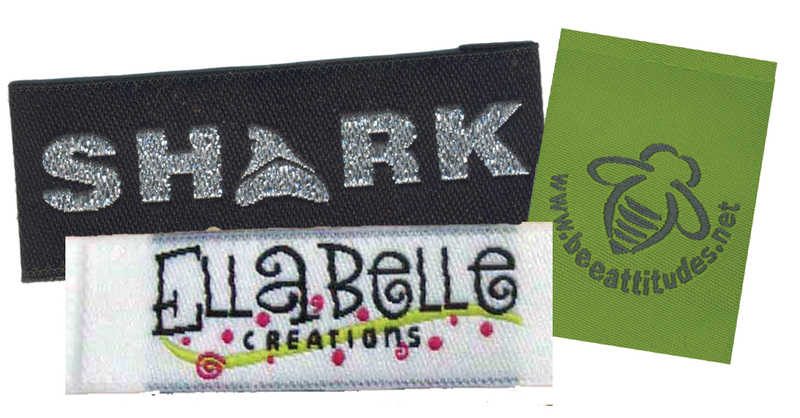 The damask labels are the best option for detailed logos and designs. Satin is often used for bridal gown designers. It is a very smooth material with a shiny background. It won’t scratch the wearer’s skin and will last the lifetime of the garment. Iron-on labels adhere to the garment when ironed on. The iron on backing can be added to woven labels. So they have the same high end look as the sew in labels and are easy to attach to the garment. 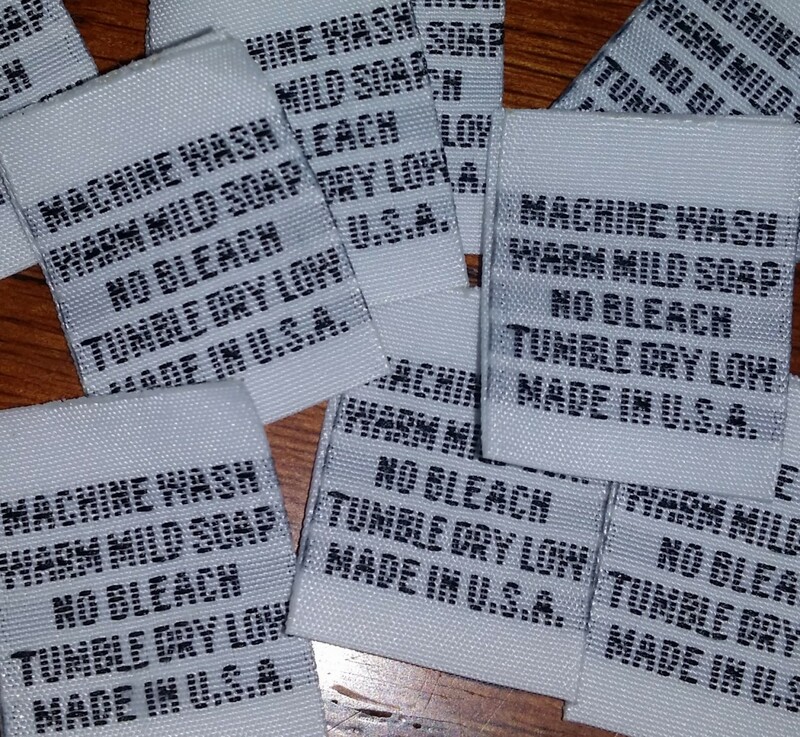 Care and Content labels are used to display information like the material used in the garment, washing instructions, washing symbols, and where it’s manufactured. This helps to ensure the consumer is properly taking are of the items. 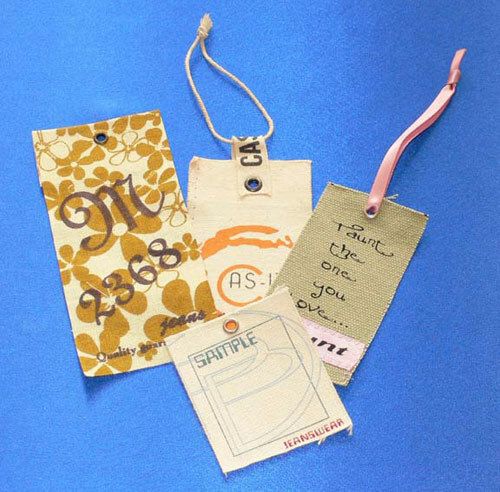 It is good to have a hangtag, especially if you are selling retail or at a tradeshow. If you are selling online, then a hangtag can reinforce your brand in the minds of the customers. Hangtags give a bold statement and can really show off your logo and brand. If you are looking for custom made clothing labels, visit us at ThirtySevenWest.com or call 877-627-9408. Thirty Seven West is a leading label maker that can customize a variety of labels and tags for you online and deliver it to your doorstep. This entry was posted on Monday, October 31st, 2016 at 1:15 pm by Linda	and is filed under Labels & Products. You can follow any responses to this entry through the RSS 2.0 feed. Both comments and pings are currently closed.